Confirmed cases of Ebola had previously been limited to an extremely remote area more than 100 miles south of Mbandaka, in the rain forest of Congo’s Equateur province. The case in Mbandaka is only the third confirmed case of the current outbreak; 20 others are probable, and 21 are suspected, bringing the total of potential cases to 44. The death toll is now 23. The port city of Mbandaka lies on the eastern bank of the Congo River, Africa’s second longest after the Nile. Tens of millions of people live along the river, and the capital cities of Congo, Central African Republic and the Republic of Congo lie along it and its tributaries. Ebola is notoriously hard to contain, though recent outbreaks in Congo have been managed swiftly by the government and international global health institutions. This is the ninth Ebola outbreak in Congo since the 1970s, and the first since May of last year when five confirmed cases resulted in four deaths in a province neighboring Equateur. An outbreak between 2014 and 2016 in West Africa was the worst ever, and killed more than 11,000. There were no cases in the Congo during that particular outbreak. The disease causes internal bleeding and spreads rapidly through contact with small amounts of bodily fluid. Its early symptoms are not obvious, and the worst effects may take weeks to show. 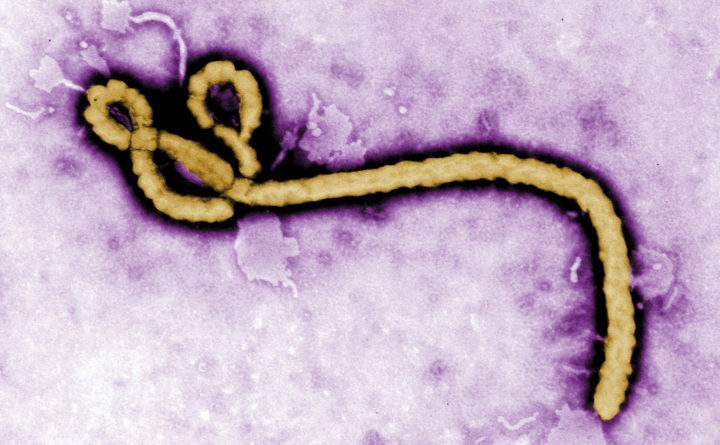 Ebola, endemic in Congo, is often transmitted to humans through the consumption of contaminated meat, but can also be acquired through any kind of close contact with an infected animal. The international response to the current Congo outbreak has been substantial, and is expected to grow in size and urgency after the announcement of a confirmed urban case. On Wednesday, the WHO delivered 4,000 injections of an experimental vaccine with proven efficacy in recent trials, with more batches expected soon. Persistent rain and lack of roads has hampered the effort to contain the outbreak so far. Before Thursday, cases had only been confirmed in Bikoro, a small town whose health clinic only has “limited functionality,” according to the WHO. Helicopter and motorcycle are the only ways to reach Bikoro from Mbandaka, but an airstrip has been rapidly cleared for small planes to land with supplies. Part of the difficulty in deploying the vaccine is that it must be transported and stored at between minus 60 and minus 80 degrees Fahrenheit, which requires powerful refrigerators. The vaccine, produced by the pharma giant Merck, is not yet licensed, though the WHO has cleared it for “compassionate use.” Its deployment is being financed by Gavi, the Vaccine Alliance, which is Geneva-based. The International Federation of the Red Cross and Red Crescent Societies said the first suspected case was a police officer who died in a health center in the village of Ikoki-Impenge, near Bikoro. After the his funeral, 11 family members got sick, and seven died. All seven had attended the man’s funeral or cared for him while he was sick. A total of 514 people who may have been in contact with infected people have been notified by the national health authorities and are currently being monitored in Mbandaka and Bikoro, according to Doctors Without Borders. With the confirmed arrival of the outbreak in a major city, the number of people who are likely to have interacted with infected individuals increases exponentially. Both the fact that Mbandaka is densely populated and that it is a bustling port heighten the risk of rapid spread.